I didn't catch the news before I finished Monday's newsletter, but I was shocked beyond words to hear about the death of Ermias Asghedom aka Nipsey Hussle. He was an entrepreneur, a father, a philanthropist, a community leader, an icon. He wasn't a businessman, he was a business, man (to quote Jay Z, who purchased 100 of Nipsey's mixtapes for $100 each in 2013). Nip was a legendary rapper, but he was also much more. He was an independent artist who pioneered and perfected a new music industry business model for the 21st century. He wasn't the first rapper to make his own way, but he showed a new generation how to succeed without record labels or assorted industry interlopers. He invested his music earnings in brick-and-mortar stores and direct-to-consumer apparel and clothing lines based in South Central Los Angeles that employed and offered opportunity to many who otherwise had none. His greatest legacy will be the knowledge and wisdom in his words and what he passed on to those who were willing to listen. Top Fed officials look to be setting the market up for interest rate cuts, just months after reversing course from planned rate increases. The theme of quantitative tightening is long gone and while U.S. data continues to hold firm, Chair Jay Powell and other Fed heavyweights are beginning to shift the narrative to worsening developments in other countries. 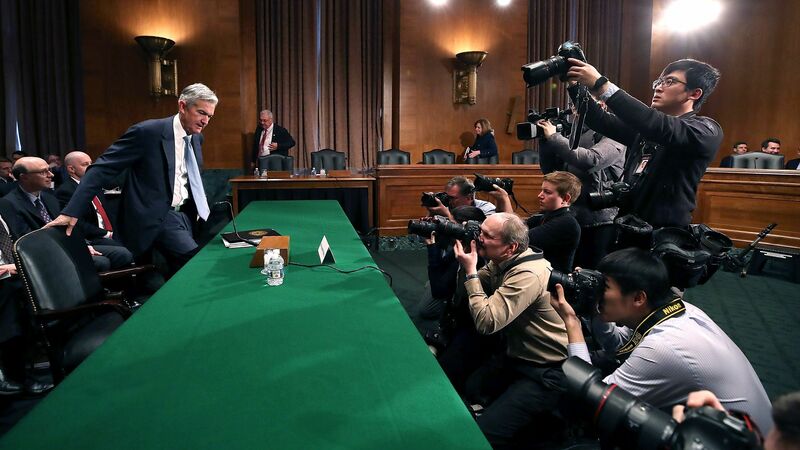 What's happening: Powell got things started in a little-noticed exchange during the Q&A session following the Fed's most recent policy meeting when he pointed out slowing in Europe and China. "Just as strong global growth was a tail wind, weaker global growth can be a headwind to our economy," he said in response to a question from CNBC's Steve Liesman. Prominent Fed members have doubled down on those comments in the weeks since. What they're saying: Fed Vice Chair Richard Clarida said last week in a speech titled "Global Shocks and the U.S. Economy" that even though the Fed's mandate is domestic, it now will keep a close eye on a series of "prominent" global growth risks and may need to pay closer attention. "In today's world, U.S. policy makers can hardly ignore these risks," Clarida said. "The U.S. economy's increasing integration with the rest of the world has made it more exposed to foreign shocks." More importantly, Clarida pointed to Fed rate cuts in 1998 he said helped avert a larger global financial meltdown. "In these episodes, accommodative policy responses in the United States helped ward off actual contractions of U.S. activity." Clarida's comments followed remarks from Chicago Fed President Charles Evans and Boston Fed President Eric Rosengren that pointed to worrisome global developments that could push the Fed's hand on cutting rates, with Evans also spotlighting 1998. The bottom line: Analysts have argued about whether the bond market or the stock market is right, as their prices have been atypically in sync for months. The answer could very well be both. Fed rate cuts would likely be a major boon for equity prices and also boost bond prices, driving down yields. This is just what both markets seem to be pricing in. Screenshot of Bloomberg's Global PMI Tracker. "The steady result was achieved in no small part thanks to a better performance from China. China led a regional divide, with northeast Asia generally improving," Alan Ruskin, chief international strategist at Deutsche Bank, wrote in a note to clients. "While in contrast, Central Europe was notably weak, and North American manufacturing, at least based off the PMIs, was also losing some growth momentum, most especially in Canada and Mexico." As Axios' Dan Primack points out, it's unusual for such a large and well-publicized offering to cool so quickly, particularly without an intervening news event or material disclosure. Lyft also may be in for further trouble. Short sellers have not been a part of the narrative so far, because shares are not settled and unavailable for stock lending programs. But that will change soon, notes S3 Partners' managing director of predictive analytics Ihor Dusaniwsky. "Lyft stock is down [significantly] with minimal short side activity. We can expect further price weakness when the shorts are allowed to put the pedal to the metal and redline their trading strategies." "When the Lyft IPO shares begin settling tomorrow and lending programs see their lendable inventories grow, over the next several days we should see a dramatic increase in stock lending, short sale approvals and Lyft short selling." A new study from the Conference Board predicts corporate profits will decline this year. The group's economists say companies most at risk of profit declines are those that employ many blue-collar workers, "an increasingly scarce yet high-in-demand group." The intrigue: The study specifically highlights companies in the manufacturing, food service and transportation industries, which are expected to see labor costs eat into profits as blue-collar workers' labor costs are rising much faster than for their highly educated white-collar counterparts. But, but, but: As Axios' Courtenay Brown wrote last month, wages have been surprisingly sluggish throughout the 9-year recovery and finally started growing above 3% toward the end of last year. But they still haven't reached their pre-crisis levels and aren't anywhere close to catching up to soaring profits. Comscore and Nielsen, two of the biggest providers of media measurement and analytics, have seen their stocks sink over the past week after separate reports of corporate drama, Axios' Sara Fischer writes. The backdrop: Nielsen, which has been around for nearly 100 years, has struggled to keep its consumer insights business growing, since many of its biggest retail and packaged goods clients have had to slash costs themselves. As a result, it's reportedly been looking to sell for upwards of $10 billion. Nielsen stock slid roughly 10% Friday after the New York Post reported that private-equity giant Blackstone was bowing out of the bidding process, reportedly because of Nielsen's debt load. Comscore, which has taken on the role as the leader in digital measurement, and Nielsen's biggest rival, has been plagued by corporate drama. Comscore stock was down roughly 30% after CEO Bryan Wiener and President Sarah Hofstetter — both of whom came to Comscore less than a year ago from media agency 360i — abruptly stepped down citing irreconcilable differences with the company's board. Be smart: Sources say Wiener had outlined a plan for several strategic investments last quarter to bring Comscore ahead of market rivals that the board thought were too costly given their goals of maximizing short-term profits. Between the lines: The media industry has been rooting for Comscore's success, in part to provide market competition to TV measurement rival Nielsen, which has been criticized for not having sufficient market pressure to innovate fast. Editor's note: In yesterday's Markets, the second story was updated with new details from S&P, which now says its report shows Murray Electric was in default at the time but now has a forward-looking rating of CCC+. It also corrects the use of the word "corporate failures" with "defaults."